Waitrose supermarket has confirmed that it is in the process of introducing clear vegan labelling for its own-brand products. Waitrose is one of the last UK supermarkets to commit to vegan labelling, but the company has now stated that it will be gradually introducing clear vegan labelling for its own-brand products. Waitrose has stated that ‘a lot of work has already been done’ in this area, and will continue as they update current labelling. The vegan labels will appear on Waitrose own-brand products that are vegan-friendly, but will not appear on products that ‘may contain traces of’ dairy or other animal products. 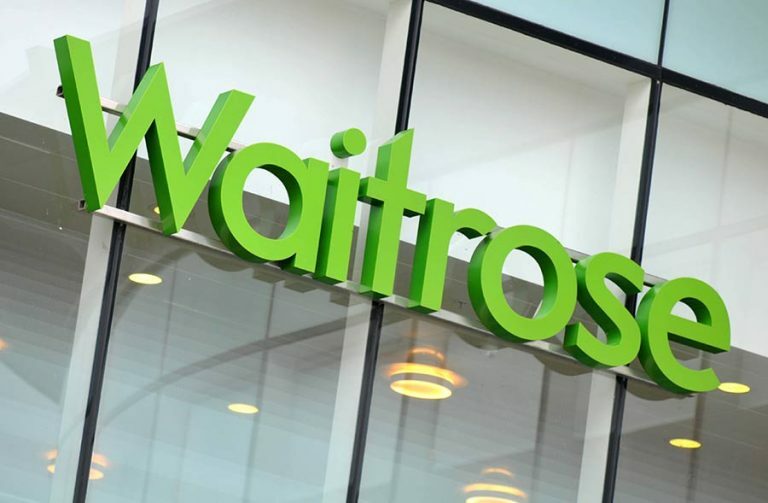 The news comes just months after Waitrose became the first supermarket in the UK to add a dedicated vegan section in 125 stores nationwide, as well as expanding its plant-based range with the addition of fifty brand new vegetarian and vegan products. 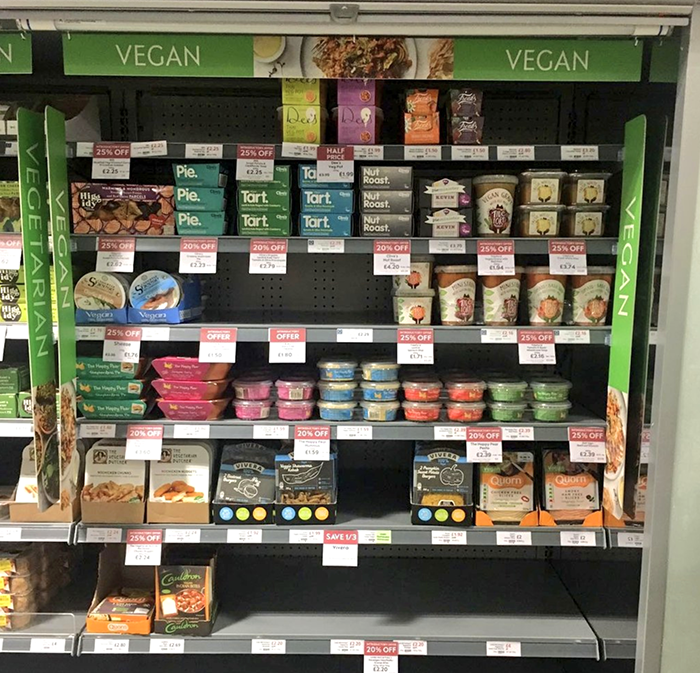 The news comes as a result of Animal Aid’s #MarkItVegan campaign which calls for all major supermarkets to clearly label their own-brand vegan products to make it easier for consumers to know they are purchasing vegan products in store. In a statement, Animal Aid’s Campaign Manager Tod Bradbury said: ‘This news will delight the over 500,000 vegans, as well athe some 22 million reducetarians in the UK. This will also be great news for those people who purchase food for vegan family members. ‘Clearly labelling products as ‘suitable for vegans’ in some way has a host of benefits: firstly, it enables those of us who avoid animal products entirely to easily find which products are vegan. Secondly, it also helps non-vegans realise how many delicious vegan options there truly is to choose from. In the UK, the majority of large supermarkets have now committed to clearly labelling their own-brand vegan products. Waitrose will join Tesco, Asda, Aldi, Morrisons and Iceland in adding a vegan label to their own-brand products. Prior to this only Sainsbury’s and the Co-op widely and consistently labelled their own-brand vegan products. Currently, Lidl is the only major supermarket to not have committed to such labelling.